There’s no doubt that plenty of alligators live in the Florida swamps but what about alligator men? No, not men who hunt alligators or train them but weird hybrids; crosses between man and alligator? An impossibility you might think but wait until you see the mummified body proudly on display at a souvenir store in Washington State. Nicknamed Jake the Alligator Man, the creature was found in the Everglades and reported in the Weekly World News back in 1982. The body was then purchased by Wellington Marsh Sr. and taken to his shop in Long Beach, Washington, to lure in customers. After all, who wouldn’t want to see the alligator man? Jake is around five feet long. His small, child-like head and shoulders are fixed upon a slender torso that tapers off into an alligator body. This whole dehydrated mess rests on stubby legs. A long, muscular tail adds the counterweight necessary to offset the seemingly out of place upper body. Webbing binds the space between his toes and the sheen of green scales still peeks out amongst the dehydrated flesh. Jake’s mouth is still filled with once lethal, sharp teeth. The legend of the alligator man didn’t start in 1982. In fact, this isn’t the only mention of alligator men in the Everglades. Stories associated with man-like reptiles date back to the 1700s. Some cryptologists speculate that these creatures are migratory and as such, may be connected to another hybrid creature, the New Jersey Gator Man. 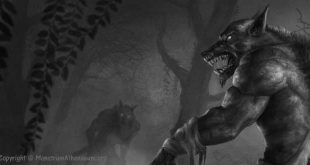 Old stories speak of these creature’s communicating with one another using grunts and howls. As for Jake’s story, he met his demise after killing a Miami man though the exact details of who and when are so far proving elusive.